A discussion of Intentional Dog Training using the example of how to housetrain a puppy. Life with Dogs offers children the opportunity to learn and practice important prosocial skills — and for adults to model those skills. Training a dog is a challenging and creative intellectual activity with a surprising amount of ethical tensions. It is also an opportunity to learn and rehearse important social and relational skills that transfer to other interactions and situations. Children especially can and do learn from their relationships with family dogs, and also from observing how adults engage with dogs. Given the importance of training for both dogs and humans, I advocate Intentional Dog Training. This means we are explicit about what we are trying to accomplish, realistic about our expectations, clear about how we intend to train — and always mindful of the implications of our training methods on ourselves and others. Being an intentional trainer begins with an explicit vision of what we want to accomplish. Humans with new puppies typically want the puppy to quickly and reliably potty outside, and so let’s use housetraining as our example. Our housetraining goal, which is two separate but related behaviors, is that the puppy reliably potties outside and also indicates when she needs to go outside to potty. Is our explicit goal realistic? Not right away. A young puppy does not have the bladder or bowel control necessary for our goal to be instantly achieved. However, it is realistic to expect that a puppy can begin to develop the habit of designated potty zones and that this will transition over time to a habit of only going potty outside. So we have a realistic and explicit intermediate goal of helping our puppy learn about potty zones while she develops the physical capacity for us to achieve our long-term goal of a housetrained dog. How shall we train this in an intentional way? 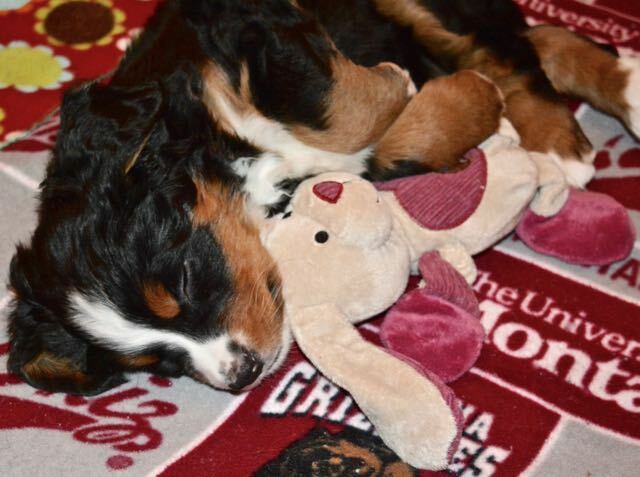 There are different ways to housetrain a puppy; I will share my ideas based on raising many puppies — and my belief that sleep matters (i.e., I do not want to take a puppy outside six times each night!). First, it is important to understand that an awake puppy will need to urinate about every 20 - 30 minutes or so. This means the human needs to take the puppy outside that often when the puppy is awake. Set a timer if you need to but take that puppy out to a designated potty zone and invite her to potty; if she does, hand her a small treat and praise her. If she doesn’t, take her back in, watch her carefully, and try again in ten or so minutes. A puppy also needs to go out after every meal, which should be 3 - 4 times a day; they are babies, after all. This is most likely when the puppy will have bowel movements, and be aware that sometimes there are two bowel movements after some meals so maybe wait after the first one — just to be sure. Second, we need a plan for when the human cannot be 100% attentive to a puppy. Sticking the puppy outside alone is not a good plan — developmentally, puppies are programmed to be anxious and upset (and loud) when left alone in an open space like a yard. In addition, we cannot reinforce a puppy for going potty outside if we are not there. Putting a child in charge is not a good plan either — no matter how amazing the child, children are not developmentally equipped to be in charge of a puppy. Do you note our attention to what is developmentally appropriate? That is part of having realistic expectations — knowing what is possible given developmental realities. It is both inappropriate and detrimental to place expectations on puppies and children that exceed their very normal developmental capabilities. 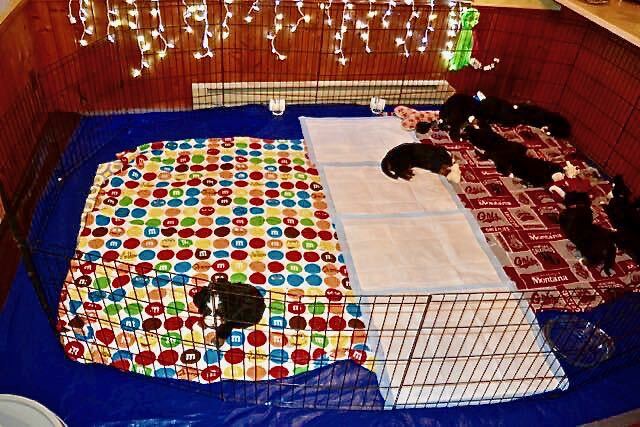 A puppy playpen set up for a litter. Since an adult cannot realistically watch a puppy 24/7, we need a small indoor space with a designated potty zone. We use a puppy playpen to create this space with a piece of inexpensive sheet vinyl flooring or a tarp under it. You may need to brace the puppy playpen in a corner — some puppies get good at moving them around. Costco sells great puppy piddle pads — spread something like that out over a good portion of the space; some people use a puppy litter box, but I have not had good success with those. Note: The amount of space you will cover with piddle pads should start large (think big target) and then shrink as the puppy develops the desired behavior of reliably using them. The puppy will need things to chew in her playpen to help her avoid chewing up the piddle pads; chewing is part of the Puppy Job Description, after all, and so do not fight it. Hint: Stuffed kongs are a puppy’s best friend when she needs to be in her playpen. A bed in her playpen is a good plan but be aware that the puppy may well use that as a potty so you may have to experiment with what to use as bedding. A crate with an open door and a washable something like a towel makes a nice bed and is a good way to introduce the puppy to crating, which is another important Puppy Life Skill. Our puppy sleeps in her playpen with the potty zone until she is able to go all night without using the piddle pads, and then she transitions to a crate in the bedroom (#sleepmatters). In addition, our puppy hangs out in her x-pen when we cannot give her 100% attention. We also need an intentional plan for how to teach a puppy to tell us she needs to go outside. Easy Peasy! Two things. First, anytime the puppy is anywhere in the vicinity of the door to the designated outdoor potty zone, have a Praise Party and head outside. At first the puppy might be confused (“Wait — what? I was just walking by the door!”) but soon you will see purposeful movement to the door when she wants to go out. The second thing we can do to help teach a puppy to tell us she needs to go out is to put a piddle pad or two by the door. This increases the likelihood of movement to the door when the urge strikes the puppy, and because the human is being attentive the puppy can be hurried outside to complete the task. What if the puppy has an “accident”? Why do we call them accidents?! It wasn’t an accident — the puppy needed to potty and the human wasn’t paying attention. How is that an accident?! If the puppy potties in the house, clean it up well and note what went wrong — did you wait too long? Not notice the puppy at the door or sniffing the ground? Too much freedom for the puppy at this point in her development? Seriously — that is all you do. Clean up and reflect. There is nothing you can do or say to the puppy — that puddle or pile was a human mistake, not a puppy one. No big deal. Important! There is no place for anger in the training of a puppy (or adult dog) but if Anger arrives, it is worth paying attention. Anger at a puppy is a wake-up call. It is a signal emotion telling you that the expectations for yourself and/or the puppy are unrealistic — or maybe that you are just overwhelmed and need a break (Hint: Puppy to playpen pronto). In other words, anger at a puppy for being a puppy is not actually about the puppy at all. So all that is a discussion of the first three things I mentioned as important when training a dog: being explicit about what we are trying to accomplish, realistic about our expectations, and clear about how we intend to train it. You can use the housetraining example to do the same kind of planning/thinking with any other desired behavior. 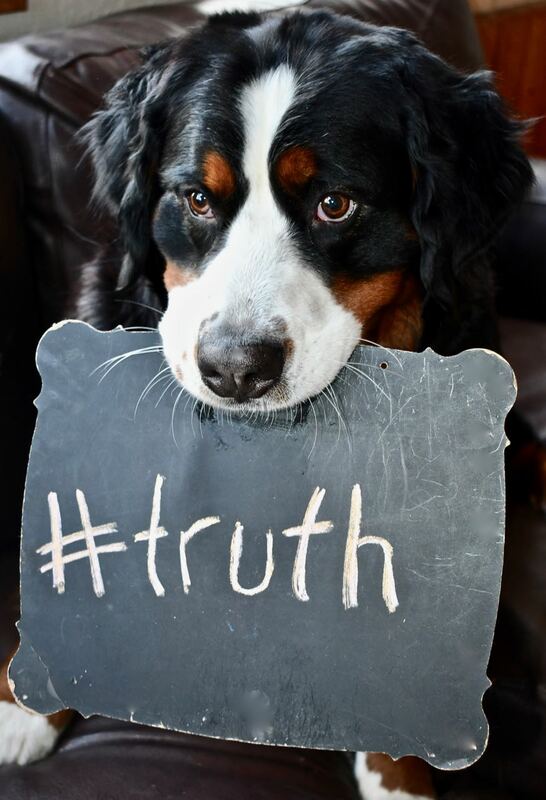 Why should we care about the fourth element of Intentional Dog Training, which involves being mindful of the implications of our training methods on ourselves and others? Let me give you a real-life example. I was at a dog show and a large, happy puppy attempted to greet someone but since she was attached via a leash to an inattentive owner, said owner was surprised when she was jerked forward by the puppy. The owner’s reaction was cruel and unnecessary — and very public. That puppy wasn’t happy for long. The puppy was obviously the first one impacted by an owner’s poor choice because she experienced being choked, jerked around by her neck — and terrified. Consider what that owner’s behavior conveyed about “training” a puppy to children attending the show. Think about what image was formed in someone’s mind about how “dog show people” treat their dogs. Ponder the implications for those of us who happened to see it and were forced to decide if/how to respond. I also imagined the possible shame and embarrassment felt by the person once the heat of her anger was over, and she realized that she had just shown off an unfortunate side of herself in a very public way. If she wasn’t later ashamed — well, how sad is that?! Nobody — including the person who perpetrated the cruelty — was a winner in that interaction. All of us are constantly influencing and modeling, setting examples and practicing skills; this is why we must consider the implications of our training methods on ourselves and others. Life with Dogs is really just an invitation for people to be better human beings. As we train and interact with our dogs, we should consider whether we are modeling beneficial relational qualities — or teaching about force and violence. Are we rehearsing positive interaction traits — or are we practicing cruelty in the context of a relationship with a dependent and vulnerable “other”? Are we fostering a respectful relationship — or one based on fear? Intentional Dog Training is both effective and ethical with positive outcomes for humans and dogs. It means we are explicit about what we are trying to accomplish, realistic about our expectations, clear about how we intend to train, and always mindful of the implications of our methods on ourselves and others. Thinking about dog training in this way allows us to practice being our Best Self in a safe, non-judgmental relationship. The positive skills and increased awareness we develop when training a dog with intention will transfer in beneficial ways to our other relationships, and will also model positive and respectful relational skills to others. For more ideas about training, follow our Blog and/or search the Blog category of Training. Dr. Sontag Bowman is available to discuss Intentional Dog Training — at no charge — with your dog group/club if she is in your area; feel free to use the Contact Us form to inquire about whether her travel schedule can accommodate your group’s needs.